In early March, AllSides attended the 10th annual Wisdom 2.0 conference in San Francisco. AllSides CEO John Gable joined Joan Blades, founder of Living Room Conversations, to gave a presentation on celebrating political diversity. Check out the video below! 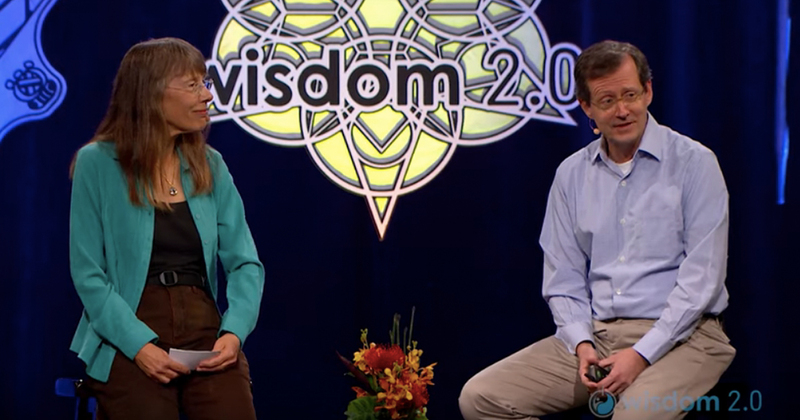 At Wisdom 2.0, John and Joan talk about how they came together to form a friendship despite their differing political backgrounds. They both identified the same problems with polarization and animosity in American society, and are creating solutions that will heal our democracy — such as balanced news and media bias ratings at AllSides, plus civil discourse tools like our newly launched Mismatch platform that connects students for respectful conversations across divides. And of course, Living Room Conversations brings people of all political stripes together for meaningful conversation on topics that divide us, building relationships and trust.